Guy Pearce and Robert Pattinson in The Rover. The hostility of the Australian outback lends itself nicely to tales of the apocalypse, and its barren wastes look wonderfully alien and foreboding on film. There’s a sense that the wilderness is encroaching on civilization, slowly and inexorably reclaiming what we fragile beings have taken. It's no wonder that everyone’s gone insane in the world of Mad Max (1979). If all that’s left to live for is water and fuel – or, excuse me, petrol – then society’s laws aren’t worth a damn. So has it always been for these stories, and so it is for The Rover, a film with less than half the fun – but more than twice the heat – of its pulpier kin. Director David Michôd’s 2010 film Animal Kingdom was a slick but overblown crime drama that touched on this strange nihilism that the Aussie landscape inspires. 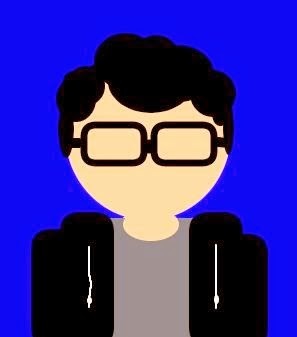 He returned with The Rover in 2014 to dive wholeheartedly into this theme, crafting a world overtaken by some nameless doom and populated by the same type of people – just without the tenuous societal structure that held everything together, which they so carelessly broke when it suited them. Now, with no more rules to break, Aussie criminal life has worked itself into a lather, like a dog chasing its tail. One such feral stray is a weather-beaten wanderer played by Guy Pearce, whose car is stolen by thugs. He responds by kidnapping the brother of the pack leader, who was left behind with a fatal wound during their last escapade. This wounded “half-wit” (Robert Pattinson) calls himself Rey, and the two form an uneasy alliance on their way to find the thieves. Pattinson, as the mentally-stunted Rey, is cast as far against type as possible, undoubtedly as a method of breaking through the tween typecasting that looms over his career (although there is a winking scene in which he sits in the dark and hums along to “Pretty Girl Rock”). His mumbling, jerky performance – not to mention the filth and sweat which shines from his skin – is a far cry indeed from his previous work, and a refreshingly bright spot of colour against the sun-washed backdrop of the film. Of Mice and Men rears its head in his relationship with the tight-lipped, taciturn Eric, and their decidedly non-mutual partnership ends on a note of equal tragic pointlessness. Similar films – The Road (2009) and The Proposition (2005, also starring Pierce as a hardened Aussie drifter) jump readily to mind – have been described as “bleak”, but this isn’t bleak just in its empty visual style. 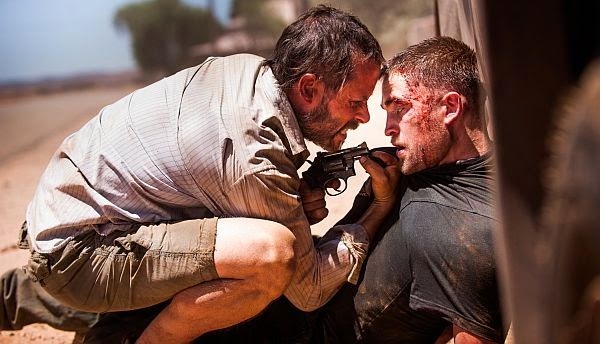 Films in which little is said or accomplished tend to cry out to be filled with our own interpretations, but The Rover invites no such flights of fancy. It’s devoid of content and context because that’s the world it depicts: one without purpose or meaning. It could be post-apocalyptic, but that isn’t made explicitly clear (the opening text coyly hints that it’s “ten years after the collapse”, whatever that means). The abject poverty, desolation and lawlessness of the film’s Aussie flatlands could just as easily be replicated in a Kenyan slum, or even South Central L.A. There’s no pathetic fallacy to speak of: no wind, no storms. Even the camera is deathly still, sometimes slowly zooming on Rey as he rambles incoherently or on Eric as he struggles to contain his emotion, but just as motionless and intractable as the barren landscapes it captures. Michôd’s tight and careful direction ensure it’s death and numbness all the way down. Finding out why the hell Eric wants so badly to get his car back is a nice surprise in the film’s final shots, which adds some texture to the performances on a rewatch (and puts a sharp point on the title). Personally, though, I didn’t need to know. It’s enough that in the hellish outback, your car – carrying with it the memories of a dead life, and a world wasted – is an uncommon comfort, and one worth fighting for. The Rover doesn’t do a whole lot, but what it does, it does exceptionally well. Its thrills are few but fraught with tension, and its languid stretches of inaction, with the shots themselves seemingly baked into stagnation by the Australian heat, approximate the desolate hopelessness of a world gone topsy-turvy. I’m reminded of Sarah Connor, carving the words “no fate” into a wooden table in Mexico in Terminator 2: there is no fate, no purpose at all for these men, except that which they make. And sometimes the fate they choose for themselves is no more than a reflection of the world in which they’re trapped.